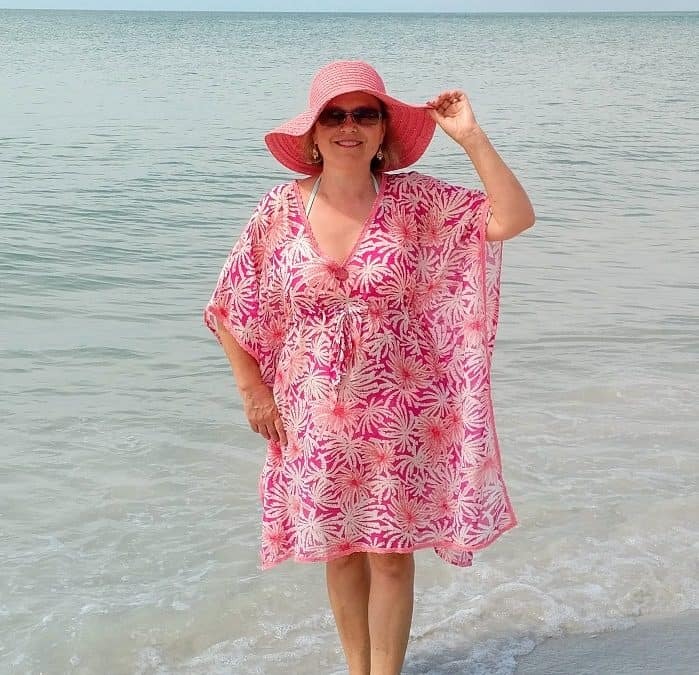 This is a step-by-step tutorial for sewing a beach dress (cover-up) with a simple free sewing pattern you can draw right on your fabric. While we always remember to put on sunscreen for protection from the sun’s harmful effects, sometimes we forget that clothes can shield the body from the mighty rays also. Here are some protective dresses that will help you stay covered and stylish at the same time. 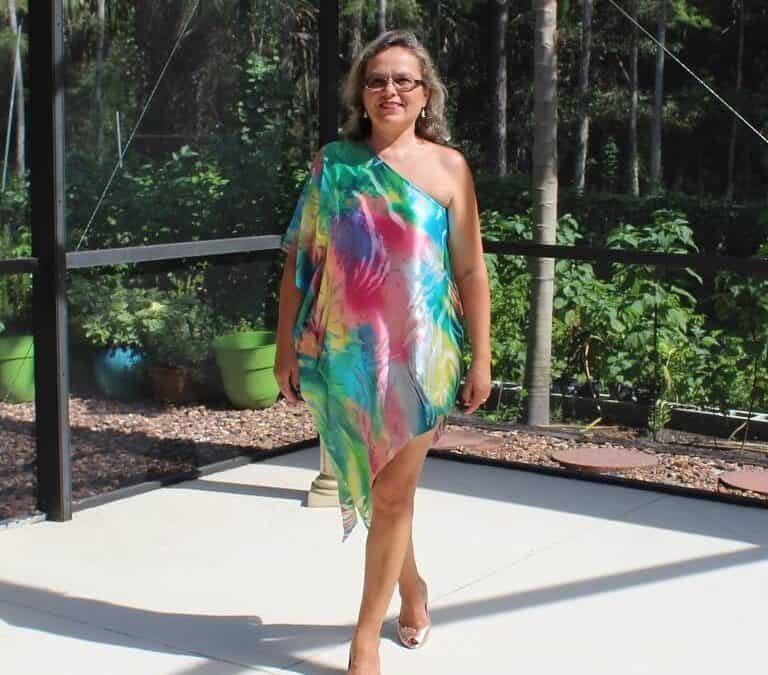 And best of all – you can sew them yourself in no time at all from the fabric of your choice and they can be not only sun-protective but also bright, fashionable and fun. These patterns are suitable for any kind of knits and also for lightweight and mediumweight woven fabric with some kind of stretch in it. In this tutorial I am going to show you how to make 2 pairs of shorts. And you can find how to make matching pajama tops in another tutorial. For a long time I feared sewing shorts and pants because they never fitted right. I tried different patterns, starting with Burda and finishing with McCalls and Vogue. Even if the pattern was close to my measurements in hips and waist the pants were not good in a crotch area. So I didn’t make any pants. But at some point I decided to draft my own high waisted shorts pattern because I was really tired of those low-cut shorts that won’t stay up without a belt and kept dropping off my hips. And the shorts pattern I made was really simple, it didn’t even have side seams and zipper closure, I could even draw it right on the fabric without a paper pattern. To my surprise the first shorts I made with this simple pattern fitted me perfectly. Do you want a new dress? Of course you want. Who doesn’t? Why would I even ask? Well, you can sew one yourself even if till now all sewing you have done was putting on a button. I encourage you to give it a try. Not only it is fun, but it is also very easy. I guarantee that you will spend less time sewing it than going shopping for a new dress. Let’s make this chic dress from 2 square pieces of fabric. Here is an illustrated tutorial on how to make this so lovely yet so simple spaghetti strap dress. The sewing is pretty easy even for those who are just learning to sew. Practically, you will only need to join two side seams. Usually we don’t pay any attention to buttons on our clothes until we lose one. Right? 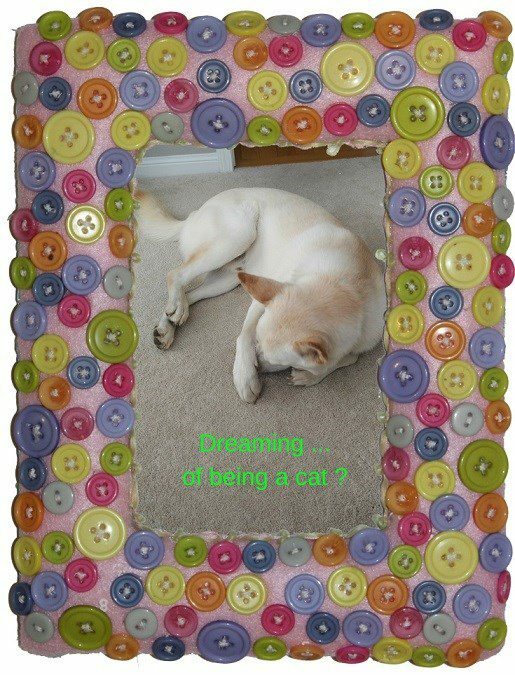 But buttons can be a part of our clothes’ and accessories’ decoration. If you know how to sew on a button you can create many beautiful things with minimum amount of money and maximum creativity, feeling satisfaction and enjoyment in the process. 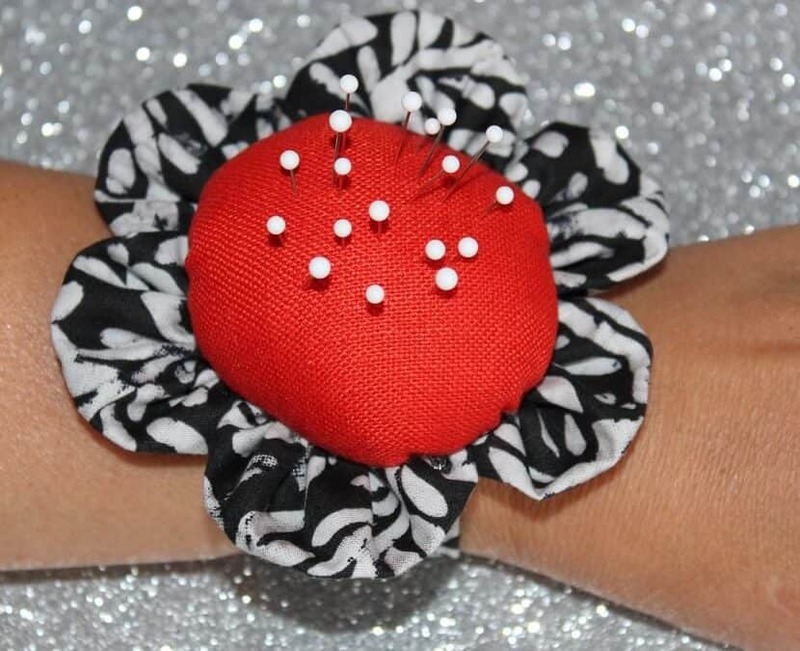 Can you resist a cute and very useful wrist pincushion? Make one pretty fast! This wrist pincushion is not very common, but I really like to use it all the time in my sewing. It is so comfortable when I pin paper pattern pieces to the fabric, or when I take pins out of the cloth. Sewing this pincushion will not be difficult even for a beginner.